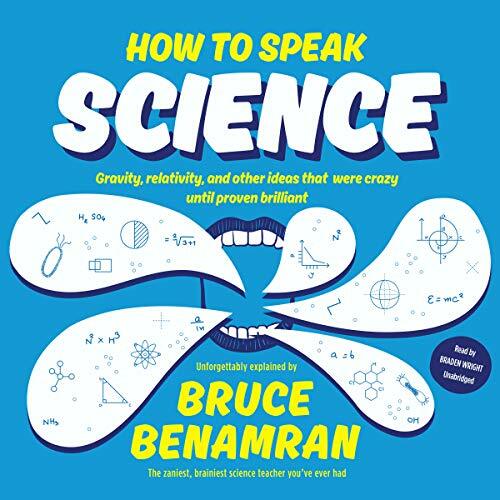 As smartphones, supercomputers, supercolliders, and AI propel us into an ever more unfamiliar future, How to Speak Science takes us on a rollicking historical tour of the greatest discoveries and ideas that make today's cutting-edge technologies possible. Wanting everyone to be able to "speak" science, YouTube science guru Bruce Benamran explains - as accessibly and wittily as in his acclaimed videos - the fundamental ideas of the physical world: matter, life, the solar system, light, electromagnetism, thermodynamics, special and general relativity, and much more. Along the way, Benamran guides us through the wildest hypotheses and most ingenious ideas of Galileo, Newton, Curie, Einstein, and science's other greatest minds, reminding us that while they weren't always exactly right, they were always curious. How to Speak Science acquaints us not only with what scientists know, but how they think, so that each of us can reason like a physicist - and appreciate the world in all its beautiful chaos. ©2018 Bruce Benamran and Stephanie Delozier Strobel (P)2018 Blackstone Audio, Inc.